April was the month of changes on Eriyadu! Our Dive Master and Compressor Tender Ramiz left Eriyadu towards Euro Divers Meeru Island Resort & Spa. For his new position we wish him the best of luck. In exchange Dive Master and Compressor Tender Jaufar from Meeru joined our Team. Welcome Jaufar and we hope you will enjoy working on Eriyadu. April has been a busy month on Eriyadu. Our 83 diving guest did 761 dives, 9,1 dives per person. We enjoyed each and every dive. Thank you for awesome moments we shared together. Still there have been Manta Rays at Boduhiti Thila/Boduhiti Corner, lot of Sharks at Woshimas Thila and also huge schools of Mobula Rays were passing by time by time. Even the snorkeling excursions with Ali and Jaufar were lucky to see Manta Rays at Boduhiti Corner, followed by snorkeling with lots of Turtles. We had a special guest this month at the dive center. Under-Water Photographer Rainer Raschewski visited us for some nice under water model shootings. The Manta Rays will leave this month from the west rim of the Atoll. We are waiting for the first sightings at Lankan Manta Point to start our famous Full Day Diving Excursions to the south east rim of the Atoll. 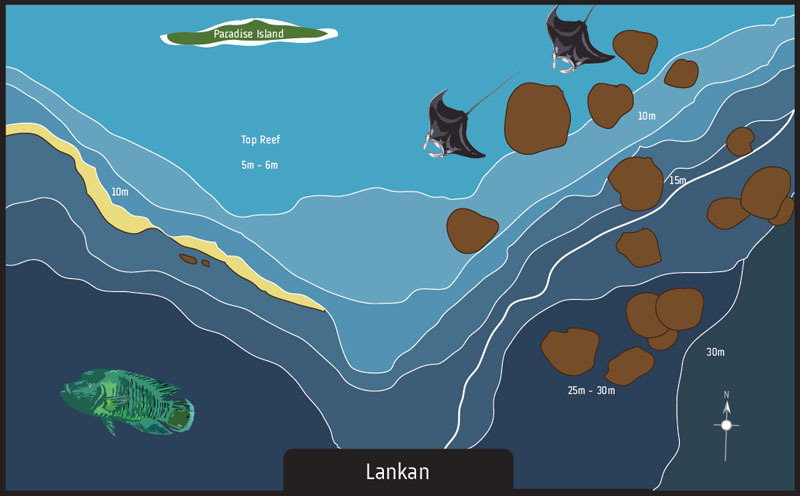 Lankan Manta Point is the most famous Manta Spot in North Male Atoll with up to 12 Manta Rays cruising around the small cleaning station. Most probably the monsoon will change to south-west monsoon this month. 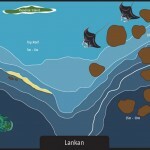 We will have clear visibility at our dive sites Fingerpoint and Woshimas Thila, the two famous dive site for SHARKS. Smartline will take over the Resort Management on the 1st of May. The best of luck and success to our new General Manager Stewart.